Amid disruptions and logjam during the Parliament Winter Session, Congress vice-parliament Rahul Gandhi today met Prime Minister Narendra Modi on the last day of Parliament winter session. While Congress delegation gave memorandum to PM Modi on farmers loan waiver issue, Punjab Congress president Captain Amarinder Singh informed out media that problems faced by farmers, loans, suicides and MSP issue were discussed during the meeting. “PM has promised to look into the matter,” said Singh. 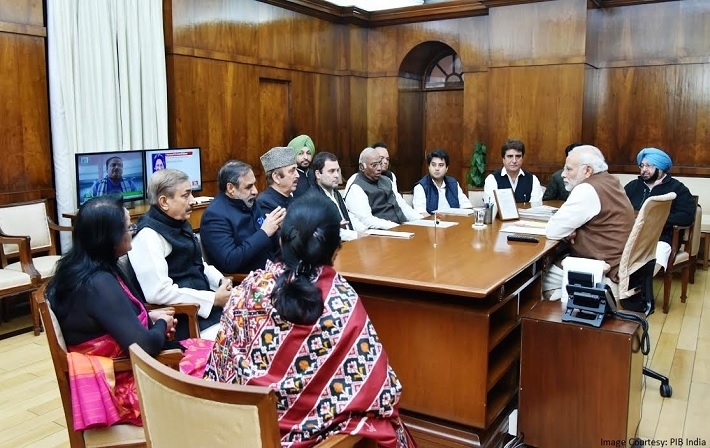 Congress delegation, including Rahul Gandhi meets PM Modi.